Having had experience with open source and corporates, I am interested in exploring how open source practices are helpful for corporates. I share couple of examples and ideas on how organizations can adopt these practices. The first example I share is about experiencing autonomy. Motivation is one of the keys for accomplishment. While Industry typically utilises monetary and other rewards for motivation, Open source does not offer much scope for it. 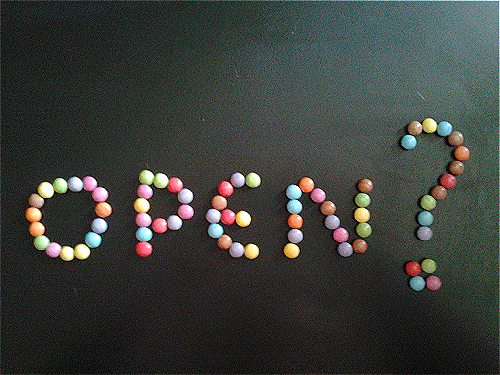 So what motivates Open Source Volunteers? It is autonomy, the freedom to contribute to an area of interest. By being an active volunteer they may get recognition in due course. Fedex days, a 24 hour hackathon, which gives freedom for employees to build a piece of software that delivers benefits is a practice that has caught on in the industry. The second example that I share is about having a open tool eco system which includes version control, issue tracker, mailing list, forum, task management, and wikis. etc to support software development and making it publicly available inside the company for other colleagues to participate. This is called 'inner source'. I came across an excellent paper "Open collaboration within corporations using software forges" by Prof. Dirk Riehle et.al, which described the analysis from SAP, Microsoft, IBM,HP. Upto 7.5% of relevant employee population participated in these initiatives in 10 to 18 months of launch. The benefits of these include attracting volunteer and motivated contributors, better quality, utilisation of experts, better support and easier transition from Research to Product engineering. Fedex-days can easily be tried by Indian software or engineering companies of any size. While 24 hours may be good enough for simple ideas to be transformed to working demo, other ideas may require second or third instance of the initiative or optionally can be taken up by the research team. For Inner source, a company or its business groups with 100+ employees would have better chance of success. As innovation becomes key for excellence, these practices can be great enablers. How does open collaboration work in your organization? If you need help or would like to discuss more, do get in touch.